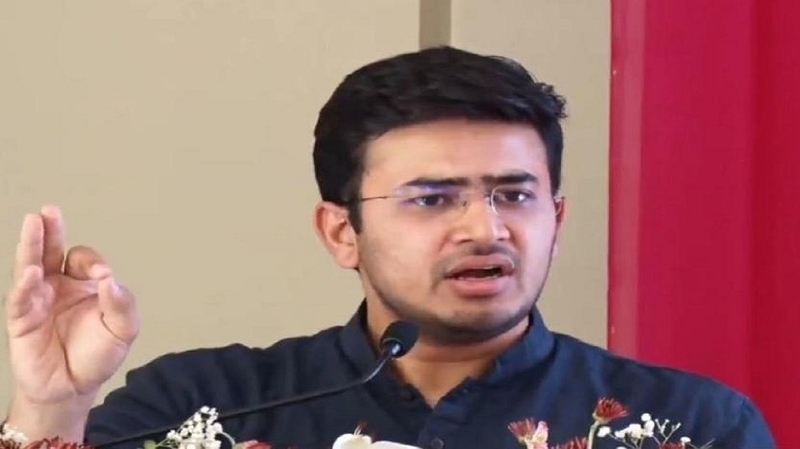 IN a surprise move, the Bharatiya Janata Party (BJP) on Tuesday fielded party’s youth wing leader Tejaswi Surya from its bastion of Bangalore South from where the widow of Union Minister Ananth Kumar, a six-time MP from this prestigious Lok Sabha constituency, was denied the ticket. Ending the suspense with just hours left for the deadline for filing of nominations for the first phase of polls in Karnataka, the BJP central leadership announced past midnight on Monday night the name of 28-year-old Surya, a lawyer and a member of the party’s national social media campaign team. Surya, also the general secretary of Bharatiya Janata Yuva Morcha (BJYM), the youth wing of the BJP, is from the Rashtriya Swayamsevak Sangh (RSS) stable. It was widely expected that the BJP would field Tejaswini given her active participation in scripting her husband’s victories from the seat six times, but Surya emerged as the dark horse. Surya filed his nomination papers on Tuesday. The Karnataka BJP had proposed only Tejaswini’s name, according to state unit BJP president B S Yeddyurappa. Tejaswini was also confident about fighting the poll on BJP ticket and had been preparing for it and had started a door-to-door campaign. She said the party decision came as a shock to her and all of her supporters but maintained that it is very important to show that the BJP was a party with a difference.